An eBook is an electronic version of a book. 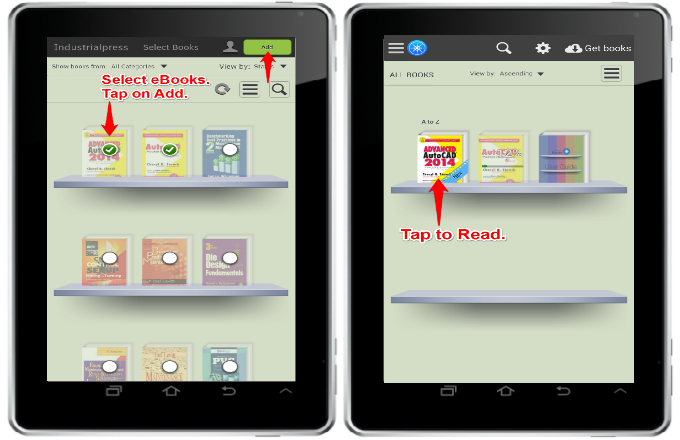 The iPublishCentral eBook reader allows users to read publications on any screen with a browser that supports Flash. Industrial Press eBooks have the look of print books, with all the layout, figures, and images intact. Users can change the font and font size and zoom in for close study. Industrial Press eBbooks can be read online or offline on desktop computers, laptops, and a wide range of mobile devices. 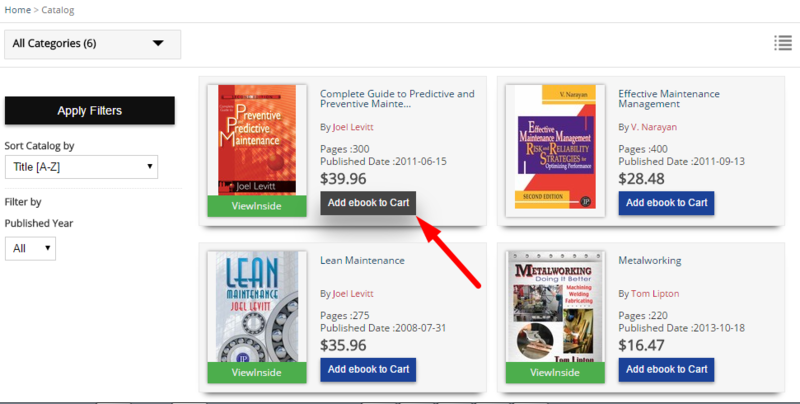 All Industrial Press eBooks have sample pages available through ViewInside that users can see before purchasing. Click the ViewInside button for a free preview. You are paying to get perpetual access to the digital copy of Industrial Press’ published eBooks. 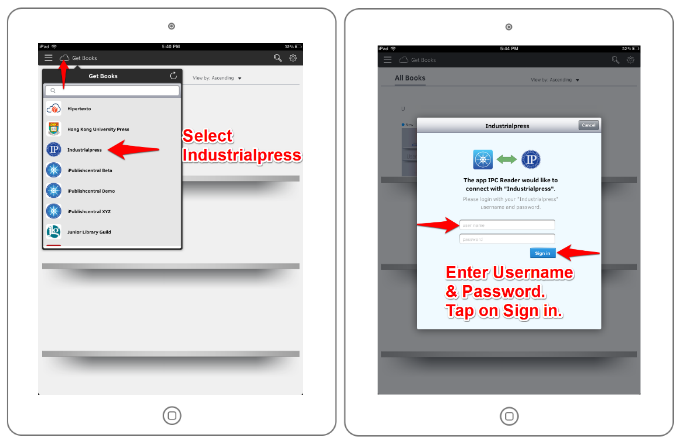 Your purchase entitles you to view and read your Industrial Press’ eBooks either online at http://ebooks.industrialpress.com or offline on your PC or Mac with the iPublishCentral reader and on an iPad, android tablet, or other supported device, using the Industrial Press’ eBooks app. In some cases, reading options may depend on what format/mode you have opted for and paid for and what formats are available. Yes! Industrial Press eBooks are available immediately upon completing your purchase, with no wait time for shipping or other delays. Customize: You can highlight text on the screen, bookmark pages, or add notes throughout the eBook. Easy Navigation: In addition to accessing eBooks from your virtual bookshelf, your notes, bookmarks, and highlights become part of your dashboard and quick links. Once I make a purchase, will I be charged right away? 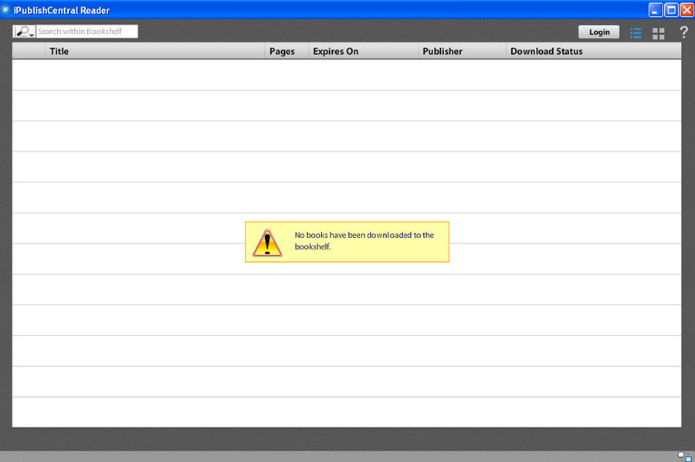 As with all electronic Industrial Press products, eBooks cannot be returned. Once the eBook is purchased, the sale is considered complete and final. Are eBooks updated? Will I receive updates automatically? Individual Industrial Press eBooks may be updated if/when errors, science changes, or other updates are needed. Also, eBook purchasers have the opportunity to be among the first to purchase new editions of Industrial Press eBooks when they are released. When you purchase an eBbook or redeem an access code for an eBook, you are gaining the right to read the purchased content online as well as offline using a compatible reader on your own computing device. These rights are subject to applicable conditions and limitations related to the technology, as well to the terms of contractual agreements between Industrial Press and its vendors. How do I read Industrial Press eBooks online on my PC or Mac? Open the eBooks site ebooks.industrialpress.com on any modern browser that supports Flash. Click on the Reader icon [ ] to read the eBook online. How do I read Industrial Press eBooks offline on my PC or Mac? Click on the button which is available at the top of the page. It will open the reader download page. 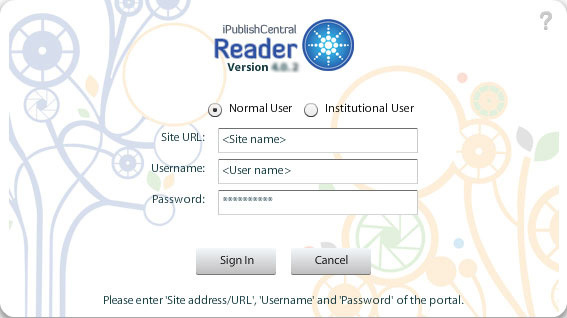 When you use iPublishCentral reader for the first time, you need to log in to your account. 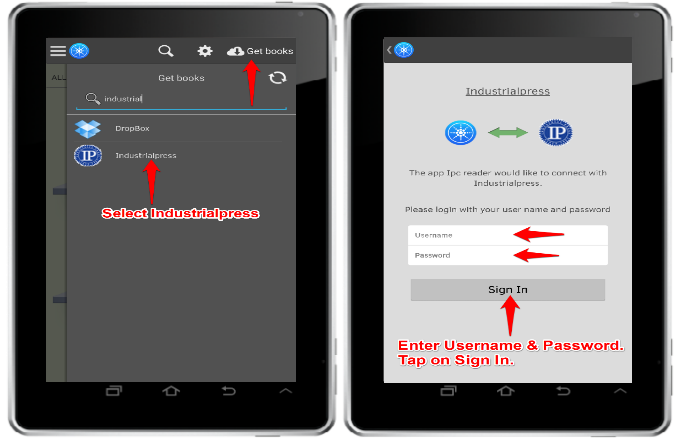 Enter the URL ebooks.industrialpress.com in the Site URL. Do not use http// or https//. This will allow you to login to the reader without any problem. Enter your user name and password in the respective fields and click on Sign In. Once your account details are verified, the contents of your virtual bookshelf will be made available on the use iPublishCentral reader. Click on individual eBooks to download them to the use iPublishCentral reader. Click on the eBook you want to read. 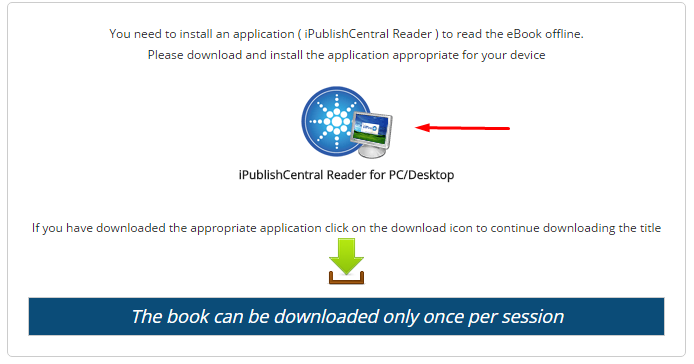 Please follow the below instructions to install the iPublishCentral Reader application to your PC or Mac and download the eBook to your computer. Once you login using your account, go to the bookshelf page. Choose the eBook you wish to download and click on Read Offline. 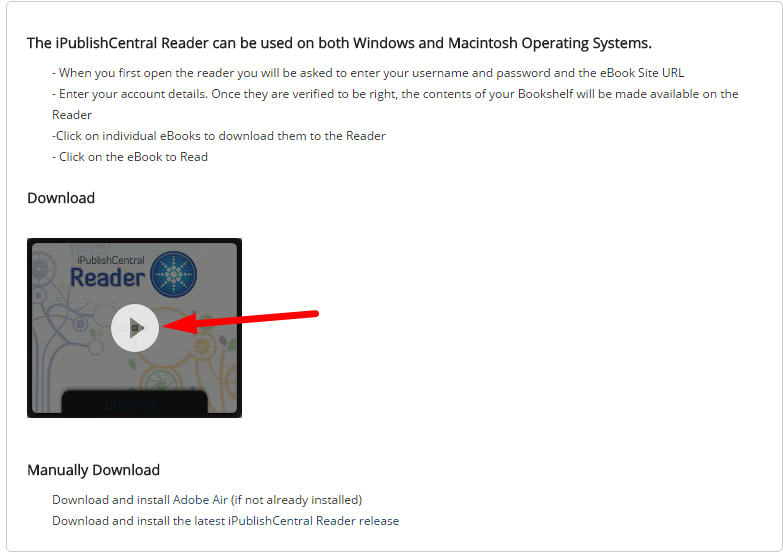 First time users, will need to install the iPublishCentral Reader for Desktop application from here. Once you have the reader installed, go back to the bookshelf page. Choose the eBook and click on the Read Offline. 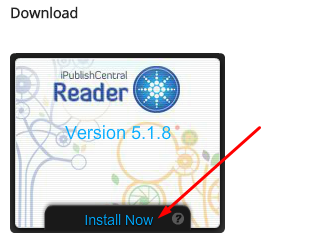 Once the file is downloaded, click it open the book in the iPublishCentral Reader app. 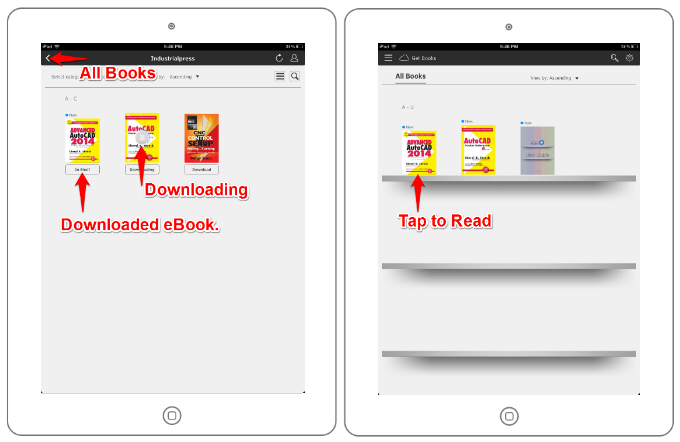 How do I read Industrial Press eBooks offline on my iPad or iPhone? Compatibility & Requirements: Requires iOS 6.0 or later. Compatible with iPhone, iPad, and iPod touch. This app is optimized for iPhone 5, iPhone 6, and iPhone 6 Plus. Tap on Get Books and Select Industrial Press from the drop down. How do I read Industrial Press eBooks offline on my Android Device? Compatibility & Requirements: Android 4.0.3 or later, access to Google Play Market. Download iPublishCentral Reader for Android free app available through the Google Play store. Screen size 7 and 10 inches Resolution 800 x 600 and above RAM 2GB Available Memory Space 500MB and above. Select the eBook of your choice. Click on Add eBook to Cart button. You will be redirected to the Cart Page. Enter the Discount Code in the Use Discount Code Box. Click on Use Discount Code Button. Discount will be applied on your total. After successfully logging in, your book will appear on your virtual bookshelf.